If your lungs have been compromised by treatment or other conditions, here are a few ways I can work with you to improve your ability to breathe. First, work with your diaphragm. Your diaphragm is your main breathing muscle and the first area I check. What you want to notice is whether your belly expands when you inhale. If so, how far down does it expand? Is it easy to do that? If it doesn’t expand easily that tells you that there is tension in the diaphragm and you’ll want to work on releasing that. Take a minute or two to focus on your belly expanding downward and outward on your inhalations. Just relax on your exhalations. Take your time. Don’t rush to your next inhalation. Let your exhalations really complete themselves, allowing the next inhalation to happen when it its ready. The breath cycles will begin to elongate. It’s important to never strain with the breath. This is called belly breathing. Notice if you have belly tension – if you are used to holding your belly in, you will probably have a challenging time with belly breathing. Let the abdominals soften and expand. If you are accustomed to engaging your core for support, that is great! But see if you can just do that on your exhales, or only as needed, and allow the belly to be soft for your inhalations. Should you breath this way all the time? No. But you want to practice the belly breath often enough to allow you to unlock your diaphragm from any patterns of tension. Next, work on lung capacity. To look at how well your lungs fill up, you’ll use a three-part breath technique. It goes like this: as you inhale, expand the belly, then the middle ribs then the upper ribs, all in one big breath. As you exhale, reverse that order, releasing the upper ribs, middle ribs, then soften the belly. So you’re inhaling from the bottom up and exhaling from the top down. Perhaps you can use the image of a balloon inflating and deflating. You’re gently testing your lung capacity on the inhalation – remember not to strain – and again, let your exhalation fully complete itself. Give it all the time it wants. Note: your belly probably won’t expand as much as it did in the belly breathing technique. That is fine. Many people have postural habits that prevent them from achieving their full lung capacity. For example, if your upper body has a tendency to round forward (stooped), you might find it challenging to move the breath into the upper lungs because the muscles around the shoulders and upper rib cage are not accustomed to holding the torso upright. The muscles have likely become short in the front and weak in the back. Thus the upper lobes of the lungs are compressed with diminished function. Here’s where practicing the postures and movements in yoga can really help. If you’re not sure what to do, just try squeezing your shoulder blades together and lifting your breastbone. Notice the width across the front of your chest. If part of your lungs have been removed or damaged . . .
You’ll probably need to work with a yoga therapist, like me, to increase your breathing capacity. I have two main strategies for working with resected or damaged lungs. 1.) we work together to get the healthy parts of your lungs, including the back-side, operating at full efficiency. This means unlocking patterns of tension in the various breathing muscles and working toward the fullest range of expansion possible. 2.) For areas of damage, I coach you to gently explore the sensations at the edge of this area. In other words, don’t ignore it, but notice what that area of the lungs feels like when breathing. And yes, you CAN direct your breath into different areas of your lungs including one side more than the other. Once again, remember to never strain or push the breath. To re-pattern these muscles, it will need to feel comfortable and manageable. Working with the breath is not a one-size-fits all program, but becoming familiar with your breathing patterns can be a great source of peace and grounding. How is Yoga for Cancer Different Than Other Types of Yoga? I’m often asked this question: “How is yoga for cancer patients different than other types of yoga? “ There are many ways we’ve adapted yoga to serve cancer patients. Here are the main points . . . Physical Ability. The first issue to address is the participant’s physical abilities and limitations. Through a pre-class interview via questionnaire, I will already know what form of cancer each person is dealing with. I’ll know whether there are metastasis to watch out for, surgery sites that are still healing, areas of tenderness from radiation, a general limited range of motion or any non-cancer related issues like back pain, arthritis or bad knees. I’ll also know if they are dealing with the side effects of treatment like joint pain, hormonal imbalances, fatigue, shortness of breath. All of this information helps me design the physical aspect of the class. The movement and poses should meet the participants where they are. We start in a chair to make things easy. Once I understand their condition and get a sense of how they move, I can either take them into standing poses or onto the floor or we can just stay in the chairs. Emotional and Mental State. The other main concern in these classes is stress and anxiety. Additionally, through that questionnaire, I’ll also know if they are dealing with high anxiety, depression, poor sleep, or if they have other coping mechanisms in place like family support, psychotherapy, meditation, church or friends. All this determines how I weave in things like breathing techniques for anxiety or meditation to get control of fears. Adaptable. Also, we start each class with a check-in. I ask how each participant is doing that day and they let me know if something has flared up or if their anxiety is high – maybe they have an upcoming scan or other impending tests. This also informs how I structure the class. Some days we do a restorative class with lots of resting in supportive poses. Some days we are more active and we explore strength and balance in the body. Some days we talk more about the mind – how our thoughts ramp up our anxiety and how we can get control of them. Relaxation. Finally, I make sure we end with a long savasana, the final resting period. The specific practice I do here is called yoga nidra and it allows the participant to drop into a deep state of relaxation while staying lucid enough to feel their body. In this state they may receive signals or information from their body or their deep self and at the very least, they have this sustained moment to rest in just being. Classes stay small, under ten people, so that I can stay tuned in to everyone and their needs. Educational. Where I can, I try to educate the participants on the physiological changes that these practices elicit – how these practices are supporting the immune system, supporting healing. This style of yoga can give a cancer patient their body back, help them take control, calm the anxiety, regain strength, flexibility and balance, deepen their awareness, and induce a much needed sense of peace. I have been specially trained to work with cancer patients. I am a certified yoga therapist through the International Association of Yoga Therapist. If you are looking a yoga-for-cancer class, look for similar credentials. For this Valentine’s Day I intend to spend the day, to the best of my ability, in Loving Kindness. Loving Kindness is a practice of developing compassion and friendliness toward yourself and others. It’s a mindfulness practice that comes out of the Buddhist tradition and it helps us to cultivate an open heart, to see our habits and judgements and perhaps to thwart negative thoughts and actions. This practice is about noticing your emotions and their interplay with your thoughts. In the full formal practice, you send kind thoughts to yourself, someone you love, someone for whom you have complicated feelings, someone who is neutral to you and finally, to someone you find challenging. The intention is to watch your emotions as you move through each category. On Valentine’s Day I’ll choose someone for each category and send them loving kindness throughout the day. I’ll also send it to myself, first thing in the morning. As for the person I find challenging, I’ll be sending some loving kindness to Donald Trump. The practice goes like this: set yourself up for meditation by settling into a comfortable position and turning your attention inward. Notice prominent body sensations, notice how your breath is moving and become aware of the state of your mind – are your thoughts very active or relatively calm? No need to change anything, just notice. You can keep watching your breath if you need a place to focus. Once you’ve come to a quiet state, turn your awareness to your emotions. Just see what is present. If the emotions are difficult, perhaps you can turn toward them and investigate. If they are too strong, you can return to the breath and try this practice another time. When you are ready, send loving kindness to yourself by repeating these words with your inner voice. Notice your emotions as you hear these sentiments. How does it feel to receive these compassionate words? There’s no right or wrong way to feel. Just become aware of what’s happening. Notice your emotions. Whatever arises is welcomed. Let it all be there. You don’t have to do all the categories in one session. You can break it up into shorter sessions. The next categories are: someone for whom you have complicated feelings, someone who is neutral to you and someone you find challenging. As afore mentioned, part of this Valentine’s Day’s practice is to send Donald Trump some loving kindness. He is someone I find challenging. On a soul level this works just fine for me. I don’t have a problem wishing him, or anybody well. I sincerely wish him peace and contentment. As someone who is changing the course of this country very rapidly, I have concern and I’m noticing that that concern is making my heart tighten in fear. So the work is in noticing that tightness and fear, letting it be there, repeating the words with sincerity and watching what happens. Maybe nothing. Maybe something. And even as I take actions in protest to what is happening – marching, calling congressmen – how can I keep my heart open? How can I wish everyone well, even those who seem to wish me or my loved ones ill-will? How can I stay firm in my belief that everyone has a core of goodness? That is the work of cultivating loving kindness. I’ve been interested lately in Dream yoga. This was sparked by an article by Andrew Holecek and his research on the Tibetan Yogas of Sleep. The basic premise is that in sleep you are most spiritually awake – a vast array of experiences are available to you; you are not encumbered by the earth’s physical laws; the deep patterns of your subconscious will choose the direction you go (here’s where the practice of lucid dreaming comes in). And when you are awake, we are most spiritually asleep – limited by our physical experience and by the habituated patterns of our egos. If we could see our wakeful experience as dreamlike – not permanent, illusory ­– we would cultivate a different perspective on our sense of self, and the arising of various circumstances and phenomena. Consider this as a kind of Jedi mind trick for yourself: Deep sleep is reality. Try to remember your dreams and set intentions for what you’d like to see happen. Wakefulness is not reality – it is all changeable and impermanent, for the good or the not-so-good. View it with less attachment. Set intentions for what you’d like to see happen. Have you been curious about retreats – what they’re like, how you’d benefit? Why not just go on a vacation instead? While vacations can certainly be inspiring and rejuvenating, retreats can be an important time for self-care, for realigning with the vision for your life or for evaluating what is really important for you. They can be especially important if you are on a healing journey, whether that is physical or emotional/mental. It is time away to get much needed rest, regain strength, and to listen to messages your body may be sending you. A retreat can create a state of internal peace and spaciousness, which in turn can allow for insight, a perspective shift or even a significant transformation. 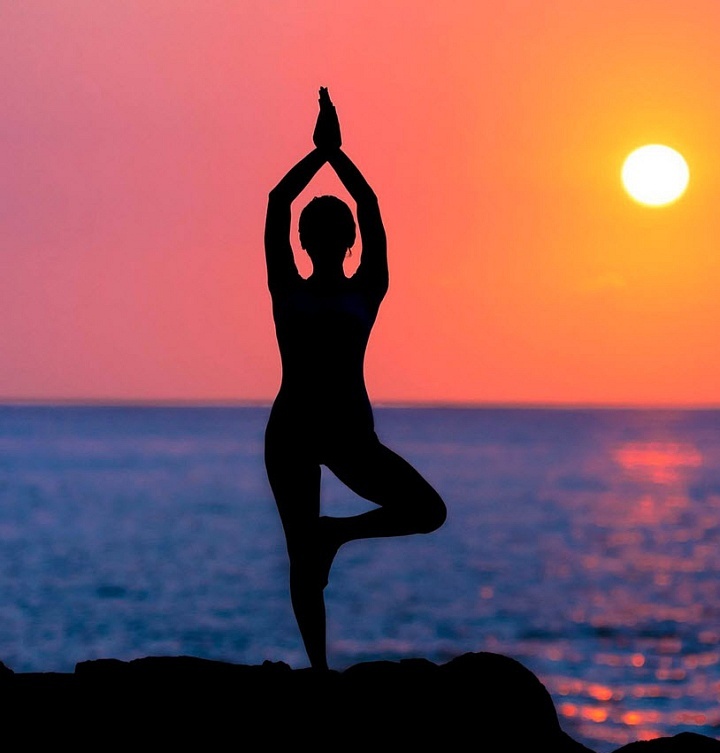 Yoga and meditation retreats can be especially supportive in the healing process. They offer the opportunity to experience a more sustained shift into the quiet, calm state that these two ancient practices can generate. Facilitators often go deeper into practices that you might only taste in a typical yoga or meditation class such as yoga nidra (the yoga of sleep) or extended meditations. In retreat mode, the nervous system has the opportunity to slow down, to shift into the parasympathetic end of its pendulum, which is the part that says, “Everything is okay, we can relax, no need to stress out.” The immune system likes this and can operate more efficiently in this state. Retreat mode is also an opportunity to see how patterns of anxiety thinking may be affecting the body. And even if discomfort is present, perhaps you’ll come to a place where you simply allow it to be present and listen to what the body has to say. If that sounds impossible, you may actually be primed for a retreat. If you are unsure if a retreat is the right thing for you, you can give yourself a taste of retreating even just for one hour. Do something to feed your soul – walk in the woods, take a hot bath, do some journaling. Doing one or all of these things could give you an idea of the potential a retreat could bring to your life. It’s best to do these alone, or at least tell those around you that you will be in silence so that you can listen deeply to your own inner drives, your inner world. Retreats are an opportunity to see what is really going on under the surface of your busy-ness; to allow mental chatter to slow down so that you can feel what’s connected to that chatter, even if it is uncomfortable. Often, when we look at our situations straight on, they are not as scary as our minds build them up to be. Maybe this healing journey you’re on is not so scary, but simply an opportunity to make the lifestyle changes you’ve been telling yourself you’ll make someday. So then a retreat is just a much-needed break from your routine, an opportunity to make those changes or learn some new methods for self-care. In any case, a retreat offers many benefits, the best of which might be creating breathing space to just be. It could be the best vacation of your life! A mantra can be a word or phrase used for concentration in meditation or, in my case, this mantra was a statement repeated frequently to remind me of an intention. The intention was to not cling to the vacation. “Clinging” is a term used in Buddhism to describe our tendency to want the good stuff to last, to never end. Clinging leads to anxiety about the ending of this good stuff. I was concerned that the vacation was too short, just a long weekend, and that I would feel deprived for not having a more substantial vacation. I wanted it to be great and to fulfill all of my vacation needs – to get enough rest, to explore new territories, to laugh/eat/dance with friends, to get absorbed in a book, to get a different perspective on my life – and all the other great things that come when you get away. I wanted it to be longer and I was clinging to it before it even started (thus, I was anxious). I wanted my mantra to help me recognize each moment for the beautiful thing that it was – and there were so many! I was aware that this “clinging” was also about the end of summer. The end of the glorious weather that takes us outdoors; the end of playtime; the end of flowering gardens (though we still have some time with that); the end of barbecues and beach days. I love summer. I get depressed when it ends. This depression is really grief – the loss of the season. Grief only happens when we are not in this moment, not present with what’s right in front of us. I’ve been aware for a while that I cling to summer. I start clinging to it in May. So this mantra was to help me with that also – this is the best part! This one right here where I appreciating the moment! And really, to keep it all in perspective, my end-of-summer depression ends around September 10th, and then I fall in love with Autumn – crisp air, colorful fall leaves, soups, sweaters and boots, pumpkin pie. What’s not to love? I used my mantra well on my vacation and explained it to my friends so that when I said it out loud – over a fabulous tapas dinner, in a treehouse with a bunch of kids, enjoying affection from a big happy dog, playing “I spy” on the long drive – they would all smile knowingly. Yes, THIS IS the best part. Somehow naming all the great times helped me to realize how many wonderful moments there were, to acknowledge and appreciate each one fully and then to let it go. There are so many great moments in any given day. We just don’t usually acknowledge them because we’re often swept up in thinking about the future or past. And truly, this moment right here – the one where you’re reading this line – is the only one we have.